If you ever wonder how you're going to quickly get a decent veg-forward meal on the table every night, The Simply Vegan Cookbook is for you. It's packed with recipes that can easily be made on a weeknight within 30 minutes. 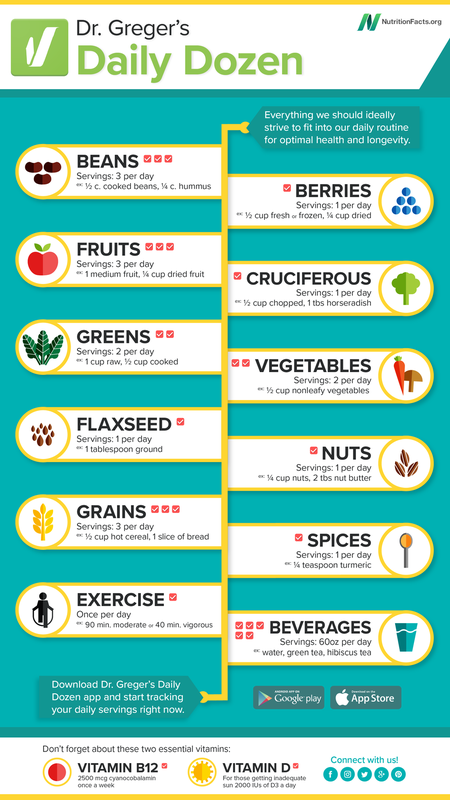 Author Dustin Harder has made a point of keeping the ingredients and tools basic (no need for a high-speed blender, just a regular one will do) so that you can easily say, "I can do this!" The outcome is beyond basic, though - these are simply delicious recipes, full of real-food flavor. If, in a couple weeks, I hear you're now leaping out of bed to get your Mango Key Lime Pie Smoothie or Peanut Butter Cup Overnight Oats, skipping to lunch to eat your packed Cobb Salad with Portobello Bacon or Lentil Sliders, and making a beeline to the kitchen when you get home after a long day to make Picture Perfect Paella or Garlicky White Bean and Kale Quesadillas - well, I won't be surprised. These recipes are an all-around pleasure! The book is organized by main ingredient, helping you achieve balance for your daily feasts and get exactly what you're after. 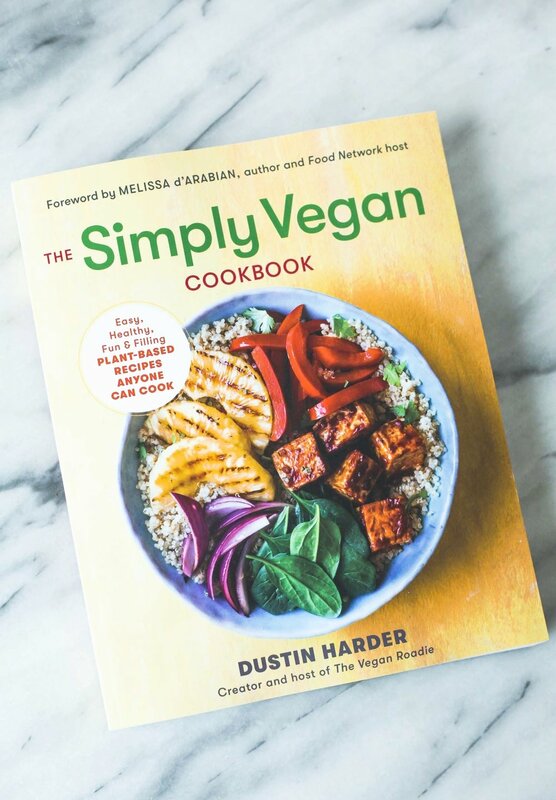 The chapters are: Greens, Beans, Lentils, Grains, Broccoli & Cauliflower, Root Vegetables, Tofu, Squash, Avocado, Mushrooms, Simple Sweets, & Kitchen Staples. So many great options in each chapter, too! Dustin really knows what he's talking about when it comes to simple, tasty recipes. He's known on YouTube as The Vegan Roadie, a series he's created chronicling his hotel-room cooking escapades as he travels from town to town checking out what each has to offer in vegan fare. Haven't seen it? You've gotta check it out! It's so entertaining, informative, and encouraging to find that there really are great vegan eats all across the United States. And guess where he's going next?! ITALY! Season 3 of The Vegan Roadie starts mid-February and is all about eating plant-based in Italy. You can find the series here. I can't wait to watch! Dustin has offered a recipe from his book to share with you guys, and it's a great example to represent his Simply Vegan theme: Baked Lentil Falafel. 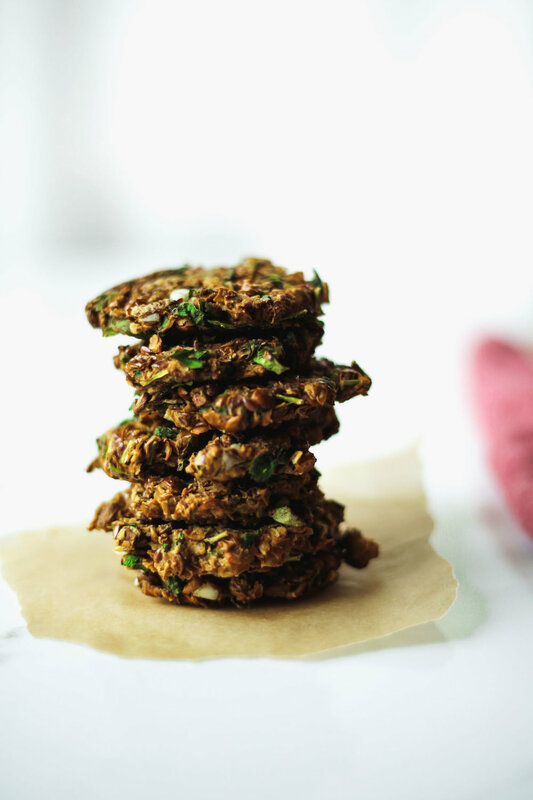 These babies are packed with nutrition and flavor and ready within 30 minutes. They're a big hit at my house, and I love having a batch in the fridge that I can quickly throw into a sandwich or salad. These. Are. Soooo. Good. You can find the recipe below. Thanks, Dustin! 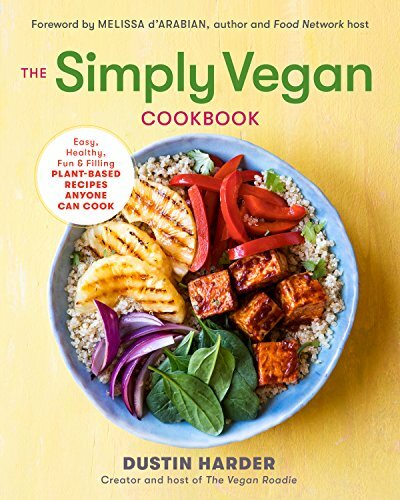 THE SIMPLY VEGAN COOKBOOK IS AVAILABLE ON AMAZON! The book is releasing on February 6, 2018 and is available for pre-order. Clicking the "Buy on Amazon" button will take you to Amazon, where you can get more info and purchase if desired. Purchasing through this link provides a small "finder's fee" to us from Amazon, at no extra cost to you. It helps fund what we do here at Beautiful Ingredient. We never recommend products we wouldn't use ourselves. Thanks so much for your support! We really appreciate it. Preheat the oven to 425 degrees. Line a baking sheet with parchment paper and spray with nonstick cooking spray. In a large bowl, combine all the ingredients. Mix well to combine and mash the mixture against the sides of the bowl with your spoon to create a doughy texture. Form each falafel ball using 1 heaping tablespoon of dough. Place the balls on the prepared baking sheet and slightly flatten each ball into a disk. Spray the tops with nonstick cooking spray. Bake for 10 minutes, flip, and bake for 10 more minutes or until crispy. 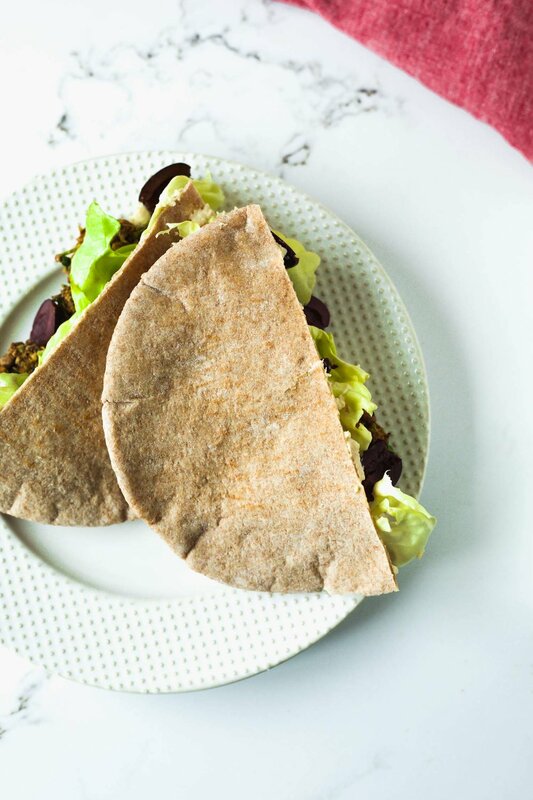 FALAFEL PITA: Stuff a whole-wheat pita* with shredded romaine, chopped olives, chopped tomato, falafel, and hummus. Drizzle with sriracha, if desired. FALAFEL SALAD: Create a bowl with spinach, Quinoa and Broccoli Tabbouleh (page 100), falafel, chopped tomatoes, and chopped olives. Add Fast Feta (page 225) for a robust flavor profile. Tip : If you prefer the traditional falafel made with chickpeas, use 1 (15-ounce) can chickpeas, rinsed, drained, and mashed. *For gluten-free, use a gluten-free pita.